You can reach Lazy Hunter Cave via a shared tunnel. 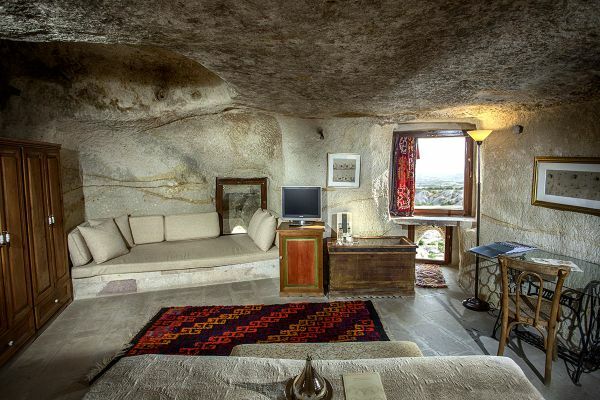 As you enter the room, the first thing you notice is its amazing view of Cappadocia. 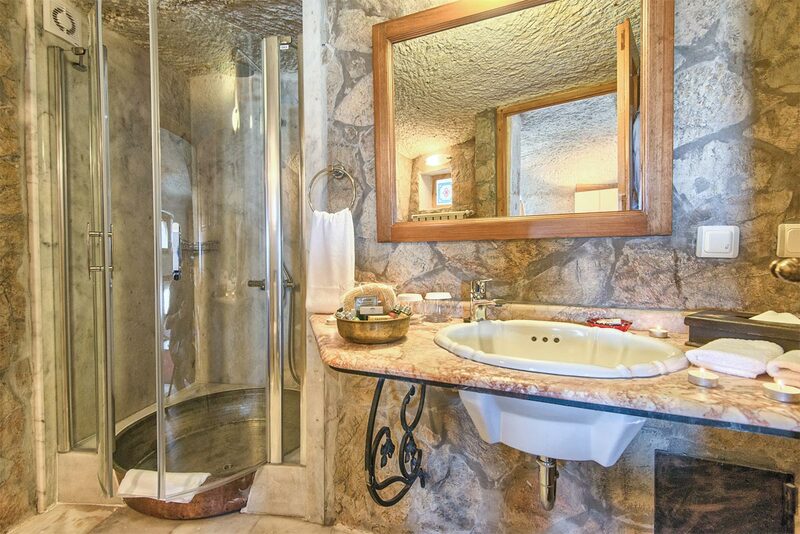 In the room you can find a lazy hunter’s ‘sight hole’ (hence the room’s name), aimed at a fairy chimney on which pigeons like to gather. 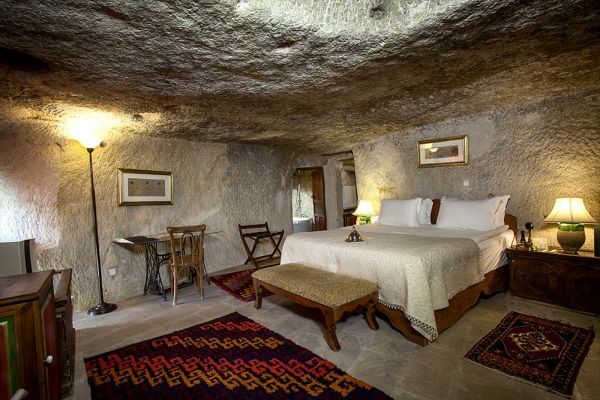 The room features detailed antique decoration and offers a perfect experience of Cappadocia.